It may surprise you that Radon is the second leading cause of lung cancer and that nearly all homes have some level of Radon in them. Radon is an odorless and colorless gas that emits as radioactive uranium breaks down in soil, water or rocks. Radon enters a home many ways such as through cracks in slabs, wall joints and water supply. An elevated amount of Radon in a home is a health hazard. 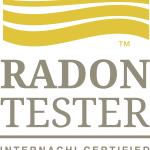 The standard Home Inspection does not include Radon testing. The EPA has recommended that every home be tested for Radon and that if the test comes back at an exceeded level to fix the home. The good news is that repairing a home to normal Radon levels is not usually a high cost proposition. Tagged Austin TX home inspection.